If a person dies without a valid will, their property goes though a process called intestate succession to their heirs according to the state law. So, what happens if you die without a will in the State of Florida? Who will inherit your estate? Florida has an intestacy statute (Chapter 732 Probate Code: Intestate Succession and Wills) which details how an individual’s assets (ex. cash, stock or insurance) and real property are distributed through probate. There are two types of intestacy. One is “whole” where the deceased did not have a will or left an invalid will. The second is “partial” where a will exists but only disposes a part of the deceased’s assets. If you are a surviving spouse and the decedent has no surviving lineal descendants (children or grandchildren), then the surviving spouse receives the entire estate. If the decedent and spouse share lineal descendants, the spouse receives the entire estate. If the decedent has a surviving spouse, but also has lineal descendants that are not descendants of the spouse (ex. children from prior marriage), then the spouse would receive half of the probate estate and the lineal descendants would receive the remaining half, per stirpes (to be distributed equally among the descendants). If the decedent is survived by descendants, but no spouse, then the descendants inherit the entire estate, per stirpes. If the decedent has no spouse or lineal descendants, then the estate goes to lineal ascendants (ex. 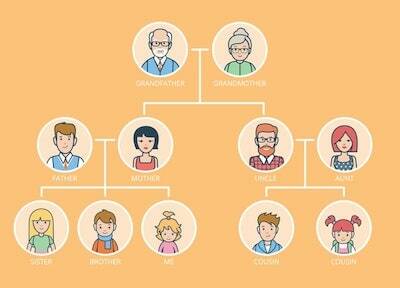 parents or grandparents) or to collateral relatives (ex. siblings or aunts and uncles), per stirpes. If the decedent has no descendants (family members), then the entire probate estate will escheat to the State of Florida. The property or assets will be sold, and the proceeds paid to the Chief Financial Officer of the state and deposited in the State School fund. Once payment has been made, an individual has ten years to reopen the administration to assert entitlement to the proceeds. Adopted children are lineal descendants of their adoptive parents and adoptive parents’ family. Afterborn heirs are the same as the born heirs. A person convicted of murder of a descendant is disqualified from inheriting any share of the estate. If not convicted, a probate court could still rule on the matter and could disqualify a candidate. Once a couple is divorced, their rights to inherit end. This does not apply to those separating or are not yet divorced. A debt owed to the decedent shall not be charged against the intestate share of any person except the debtor. Intestacy still requires one to follow the probate process. Even though there is no will and you do not need to prove the validity of the will, conflicts and issues may arise. If you are an executor of an estate or a deceased loved one has left no will, you are encouraged to speak to an experienced intestate law attorney familiar with your state’s laws. With a new year almost upon on --- for your own peace of mind and comfort of your loved ones --- create a will if you do not have one; and if you have one, make sure it is valid or if you need to update or amend your will, set up a time to meet with an experienced probate and estate attorney.